Canadians could be forgiven for thinking that the policies associated Cancon in a digital world largely wrapped up with the release of the government’s policy in September. 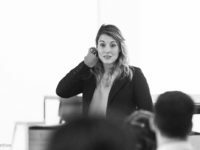 Canadian Heritage Minister Melanie Joly spent months crisscrossing the country, meeting with hundreds of stakeholders, and ultimately delivering a high profile policy that featured the much-debated Netflix commitment alongside various plans to support the sector. While Joly also promised reviews of the Broadcasting Act, Telecommunications Act, and Copyright Act, she puzzlingly re-opened the very issue she had just decided by issuing an Order-in-Council to the CRTC to examine (yet again) policies associated with broadcasting. The ongoing furor over Netflix taxes remains one of oddest and most poorly understood public policy debates in recent memory. Part of the problem is that a “Netflix tax” has long been used to mean different things to different people. 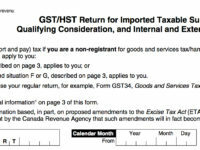 When first raised by the Conservative government, the issue had nothing to do with sales tax. 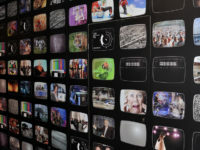 Rather, a “Netflix tax” was a reference to a mandated contribution to help fund Canadian content, a position supported by various cultural groups and some provincial governments. 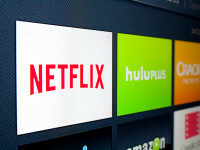 The no-Netflix tax position took hold, however, and all three major parties adopted the position that they would not mandate contributions from online service providers such as Netflix. Canadian Heritage Minister Melanie Joly’s plan for digital Cancon has attracted considerable criticism, particularly the Netflix commitment to spend $500 million on productions in Canada over the next five years. 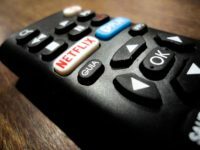 Companies and commentators have argued that the deal creates an “uneven playing field”, noting that Netflix faces different obligations than Canadian companies for both tax collection and contributions to creating Canadian content. In both cases, however, the uneven playing field argument in favour of Netflix does not withstand even mild scrutiny. Canadian Heritage Minister Mélanie Joly presented her vision for digital Cancon earlier today, delivering a wide ranging plan that included previously leaked information about a commitment from Netflix to spend $500 million over five years on production in Canada. The Netflix commitment is the headline of the day, though earlier reports inaccurately claimed that the funding would be for Canadian content rather than productions in Canada (the two are not the same given the restrictive approach to Cancon definitions). The agreement represents a major long-term commitment to the Canadian market which should go some way to appeasing critics who feared that the company might abandon Canadian production in the future. However, since Canada was already one of the company’s top three countries for production, it may not result in a significant increase in funding.